Choosing the right monitor can be a daunting task. There’s a vast variety of options available, and they vary dramatically in terms of price and function. There’s an emphasis on high-end displays these days, especially when it comes to gaming, where high refresh rates, G-Sync, and response times are lauded as critical features, but that’s simply not the case for everyone. There’s a HUGE market for people who simply want a highly-functional display with nothing they don’t need. This new display from V7, the L28TN4K-2N (or L28 going forward) is a perfect representation of that attractive simplicity. It’s a solid 4K display with features you might not expect given the remarkably low price. You can pick up the 4K V7 L28TN4K-2N for $279. The design of the L28 is about as straightforward as you can get. It’s a simple, black plastic shell, with a non-descript round base and a tiny V7 logo in white at the bottom of the display. The distinct lack of flair is perfect for an office setup, or anyone who doesn’t care about colored plastic color or LEDs. Functionality is the name of the game here, and the L28 is all about the panel, with no other distractions. The design is highly functional, though I do wish the base was a little larger. Putting the display together wasn't terribly difficult, there's a simple screw in the base you tighten, but it does feel a little looser than I’m used to. The L28TN4K-2N might initially appear to be little more than a 4K panel in an unassuming shell, but there's more to it than meets the eye. There are quite a few adjustability options which is definitely a plus. You can adjust the height, the viewing angle is customizable, and there’s a 90 degree swivel that allows you to go from horizontal to vertical. It doesn’t swivel from left to right, but with given the lightness and shape of the base, it’s easy to simply turn the entire display. The aesthetics of the L28 clearly aren’t the focus, so let’s talk about the star of the show here: the panel. 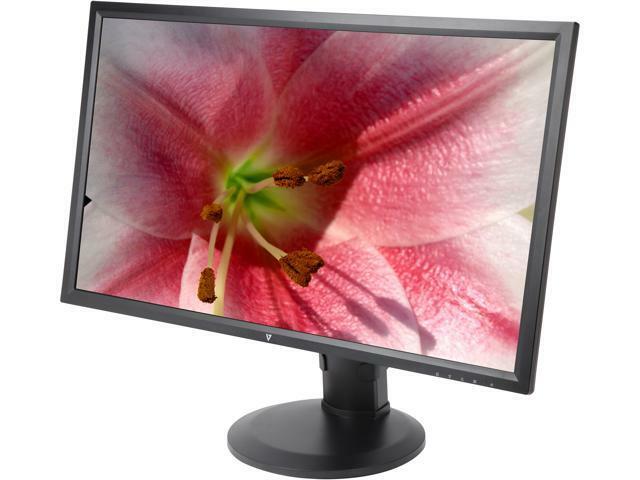 This 28 inch panel offers a 3840x2160 resolution, 300 nits (300cd/m²) brightness, and 1.07 billion colors. The 5ms response time is good enough for most gamers, and the panel does support Freesync, which is a huge plus if your build uses an AMD GPU. The ability to synchronize your GPU and display can make a huge difference when trying to eliminate screen tearing. This display only supports a 60Hz refresh rate, which is not hugely surprising given the resolution. Though high-refresh rate 4K displays are slowly coming to market, they’re well beyond the price and scope of the L28. Though we didn’t get around to any hugely elaborate tests, we did see what the panel could do with games and some color-rich 4K footage. Both looked great; color accuracy was solid and there was no light bleed. The brights were slightly blown out, but you can mitigate this slightly by manually adjusting the way the colors are displayed within the menu. The panel has three HDMI inputs, as well as one DiplayPort input, and even a VGA port if you’re using legacy hardware. At this low price point the V7 could probably have gotten away without any additional features, but there’s a few bonuses that make this value priced monitor even more attractive. The touch sensitive buttons to navigate the menu are nice, though the menu design has as distinct BIOS feel. There are plenty of options buried underneath the archaic interface though, including color adjustment, a blue light reducer, and volume control. The V7 also comes with surprisingly robust speakers. They’re not going to replace your desktop audio setup anytime soon, but they are remarkably loud and clear, and are a nice bonus given they didn't need to be included at all. There’s also 1/8th inch I/O on the side of the display, as well as a USB port for charging nearby devices. Lastly, the V7 also allows for Picture-in-Picture (PiP) & Picture-by-Picture (PbP) so you can view content from two separate sources at the same time. This can be a serious asset to professionals who needs to juggle various sources, and is a feature that is becoming more and more common, even in lower-priced displays. The L28TN4K-2N might initially appear to be little more than a 4K panel in an unassuming shell, but there's more to it than meets the eye. While it’s not going to win any awards for design, it does include a surprisingly robust set of features like picture-in-picture, speakers, Freesync, and a USB charging port that make it even more attractive at its remarkably low price point. While I would hesitate to call this a gaming monitor, anyone looking for a straightforward 4K panel at a remarkably low price should seriously consider the V7 L28TN4K-2N. Computers, writing, and mechanical keyboards, these are a few of my favorite things. Hooked since the days of 16MB RAM builds that could barely run Diablo. Currently obsessed with Linux, LEDs, and cooking the perfect steak on my heat sink.